FRP can accept a wide range of surface finishes. By far the widest used is the gelcoat finish--a specifically formulated polyester resin available in a wide range of colors. Advances in UV stability and resistance to photochemical degradation allow properly applied gelcoats to produce years of quality service without significant changes in color. 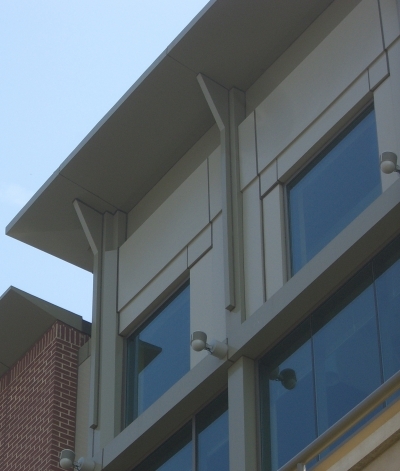 Brackets with cornice may be molded together or installed separately. Since the possibilities are endless, contact our custom sales department to discuss your FRP needs.